Supply Drop Off | One Week Away! Welcome Back!! Can you believe that we are just two weeks away from the start of the school year? Below you will find dates and schedules for the opening of school. Starting on September 4th, your child will be back to a regular schedule, reconnecting with friends, spending time in classes and getting to know new teachers. 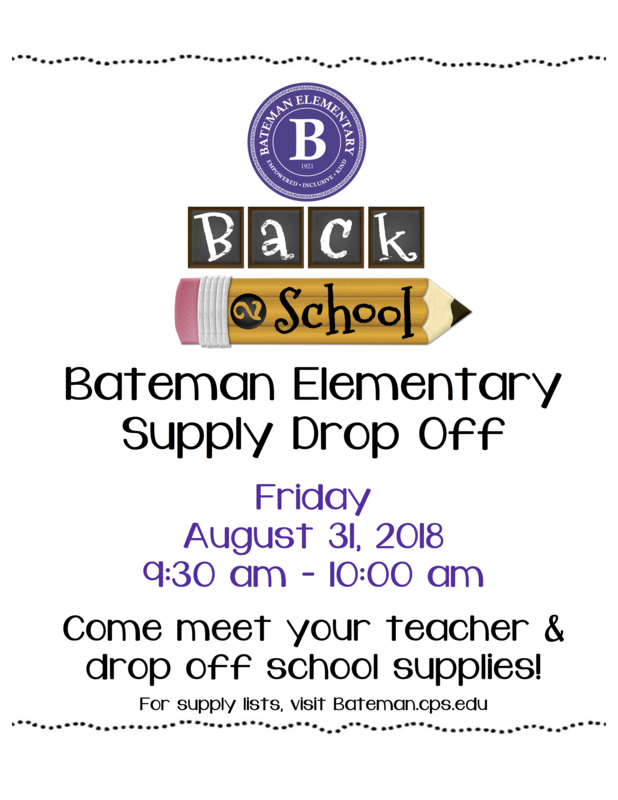 We look forward to welcoming our new families and hope that everyone can join us on Friday, August 31st for our Back to School Supply drop off. 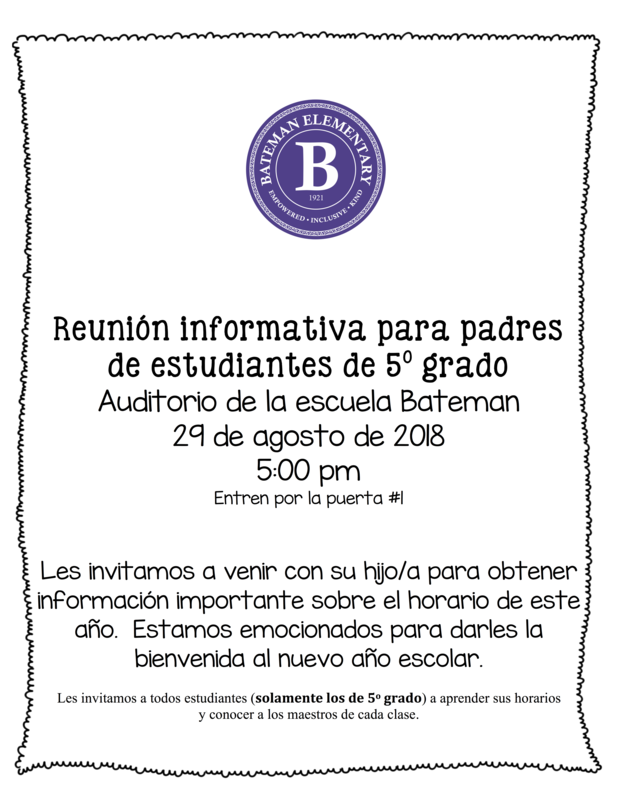 Communication and involvement is extremely important to us at Bateman. 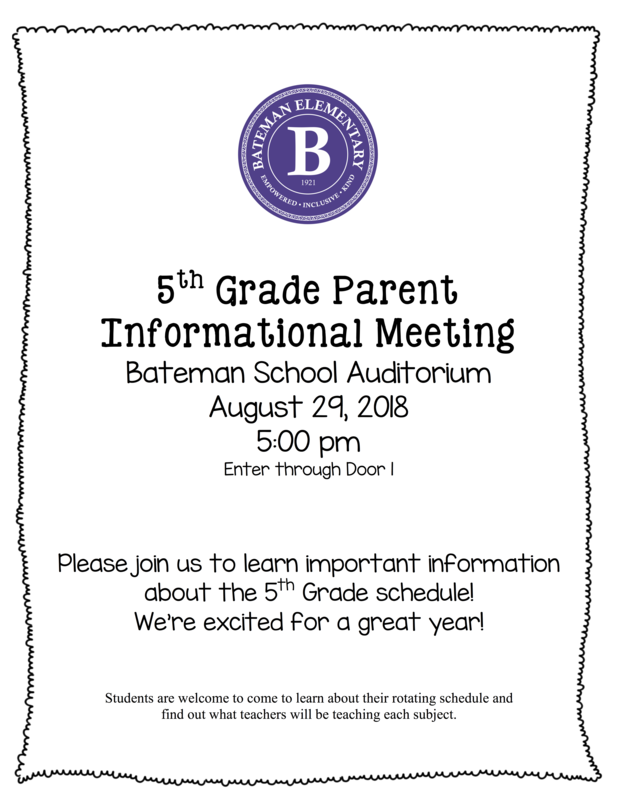 PLEASE be sure to sign up on our school website at www.bateman.cps.org for our school newsletter, the Bateman Buzz, as well as “Like” us on our Bateman Facebook page. 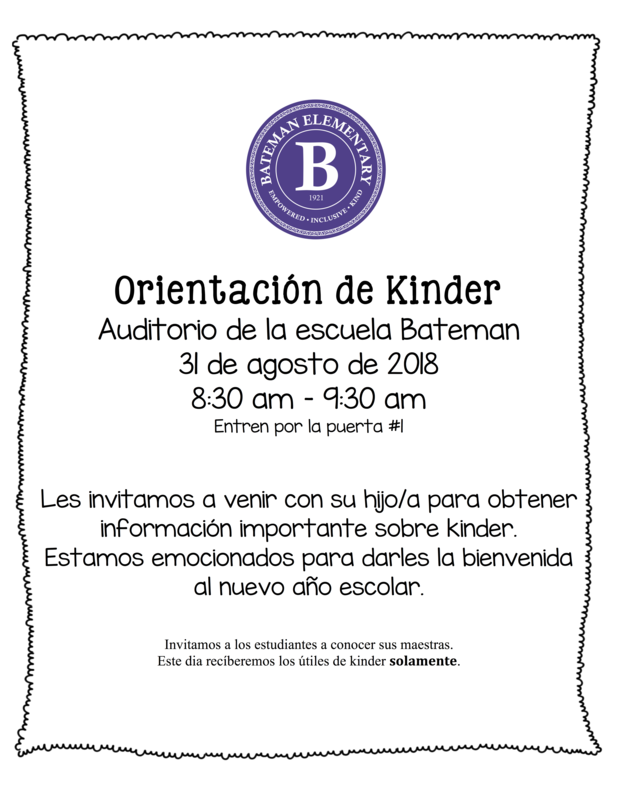 You can also find us on Twitter @BatemanES. All updates, current events and opportunities for you to get involved in our school community will be posted on these sites. If you are in need of before or after school care, please fill out our Before Care Interest Survey by this Friday or apply for the Neighborhood Boys and Girls Club After Care program by August 26th to start on the first day of school. Looking ahead...Mark your calendar for our Open House on September 19th! On behalf of the staff, thank you for entrusting your child to us. It’s going to be a fantastic school year! 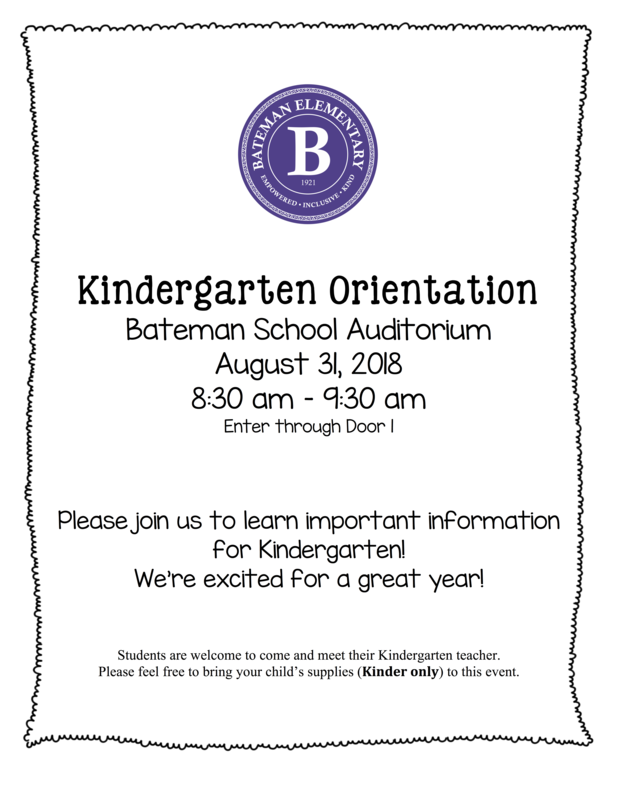 Be Empowered - Be Inclusive - Be Kind - Be Bateman! Horner Park Farmer's Market Kids Day! Buy your school supplies now! We are excited to offer you a new program that will help the school and make it a breeze for parents to get school supplies for next year. Yubbler.com is making our supply lists available for online purchasing at discounted prices. The best part is that Yubbler will donate 50% of the profits back to the school. Get a head start for next year today! ● Supplies are shipped “Next Day” to your home for free. Please join us at our Back to School event where you can meet your child's teacher, speak with our Parent Organizations, and kick off a great school year! 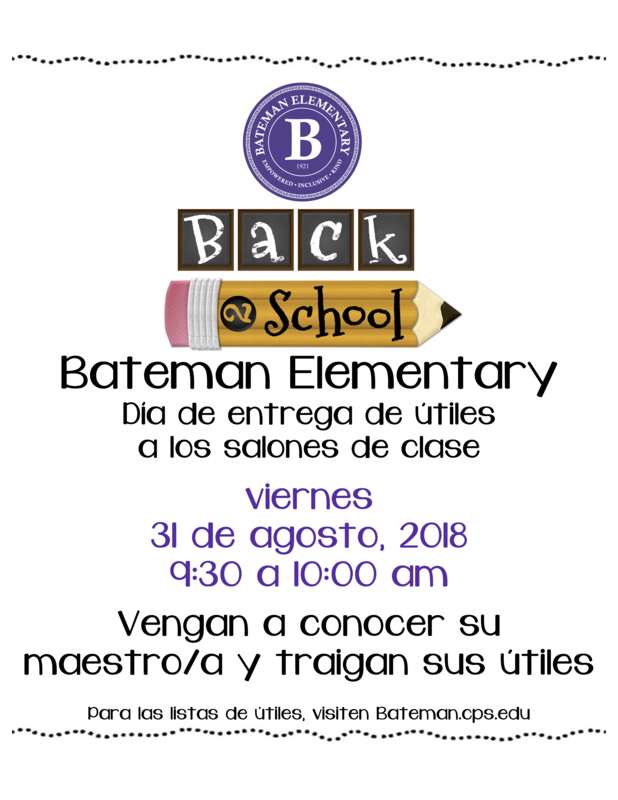 Keep checking all of our Back to School Events at Bateman! ​We are looking forward to seeing everyone! by August 24, 2018. Thank you! Congratulations to the whole school community! Yubbler Order Deadline Extended for Bateman! Yubbler.com is making our supply lists available for online purchasing at discounted prices. The best part is that Yubbler will donate 50% of the profits back to the school. Get a head start for next year today!